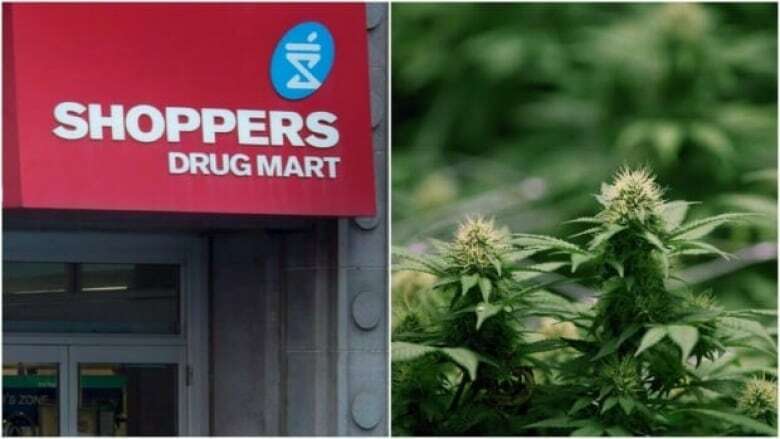 Shoppers Drug Mart received Health Canada's approval to be a licensed medical marijuana producer, opening the door for the pharmacy giant to dispense medical cannabis to patients. This comes after Shoppers applied to Health Canada to become a licensed medical marijuana producer in October 2016. "As trusted medication experts, we believe pharmacists have an important role to play in the safe and informed use of medical cannabis, and this is the first step in our journey to provide medical cannabis to our patients," said Loblaw spokesperson Catherine Thomas in an emailed statement. "We will share more information about our plans in the coming weeks." Under the current Health Canada regulations for medical marijuana, the only legal distribution method is by mail order from licensed producers direct to patients. A cannabis sales license from Health Canada is also required to dispense medical marijuana to patients. The pharmacy retail chain had already in recent months signed several supply deals with various licensed medical marijuana producers — including Aurora Cannabis, Aphria Inc., MedReleaf Corp. and Tilray Inc. — subject to Health Canada's approval of its application. Shoppers' parent company, Loblaw Companies Ltd., is also looking to sell recreational pot in Newfoundland and Labrador once it is legalized across the country on Oct. 17. The grocery conglomerate's applications for several locations were among those on a list of potential licensed cannabis retailers selected by Cannabis NL, the provincial body handling pot sales. It was also announced in July that Shoppers had partnered with Manulife Financial Corp. to offer enhanced medical marijuana insurance coverage. Industry groups such as the Canadian Pharmacists Association have said that pharmacies should play a leading role in the distribution of medical marijuana. "Pharmacists have the necessary expertise to mitigate the potential risks associated with medical cannabis, including harmful drug interactions, contraindications, and potential addictive behaviour," the organization said on its website. "Pharmacists have an existing infrastructure that is already in place to handle controlled substances."